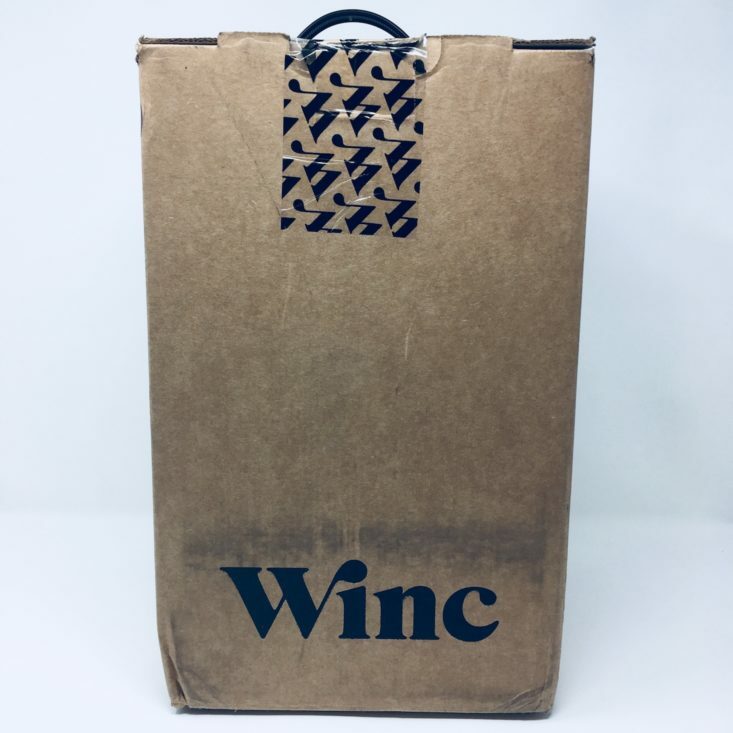 Winc (formerly known as Club W) is a wine subscription box that re-imagines the traditional wine club. Winc offers a regularly changing selection of unique, small production wines that are sourced directly from vineyards and winemakers. Coupon: Save $25 off your first order, no coupon required, just use this link. The Products: Small-lot wines sourced directly from vineyards and wine makers. Ships to: All US states EXCEPT AK, AL, AR, DE, HI, KY, MS, OK, PA, RI, DS, and UT. When you sign up to join Winc, you take a short, fun “palate profile” quiz that helps determine your taste in wine. Based on your answers, Winc makes bottle recommendations for you every month. You can go along with their recommendations or choose your own bottles from their regularly changing selection (or skip the month completely). The bottles are shipped in an upright cardboard box that has molded pieces to hold them in place. This also helps prevent the bottles from bashing into one another during transport. The box is rather sturdy and has a super handy handle that makes it easy to carry! It’s quite the transportable beauty. A real party in a box, if you will. Looks like everyone arrived safely! Here’s a glimpse at what was in this month’s envelope. Winc included this adorable card of easy, low-pressure wine resolutions for the new year. I love when they include informational tidbits. Hello Fresh made a return appearance with $20 off the first three deliveries. Check out our Hello Fresh reviews to learn more about this meal subscription box service. And lastly, there was an amusing advertisement for Harper Wilde, a no-nonsense bra company. I appreciated how well-tailored their copy was to this particular subscription box. Let’s get into the wines, shall we? A $13 bottle of sparkling wine has my name all over it. I had the pleasure of tasting Finke’s barrel-aged sparkling chardonnay back in January, and it was really enjoyable—not to mention, totally sold out on Winc’s site at the time. With this bottle, the apple and honeysuckle fragrances were noticeable upon bringing the glass to my lips. Super bubbly (I could still feel the bubbles on my tongue between sips) and very much on the dry side, this wine just felt regal. I didn’t detect the notes of lemon and pineapple, but that’s all right. In my humble opinion, this would be a great Valentine’s Day bottle to crack open over a candlelit dinner of spicy Thai food. 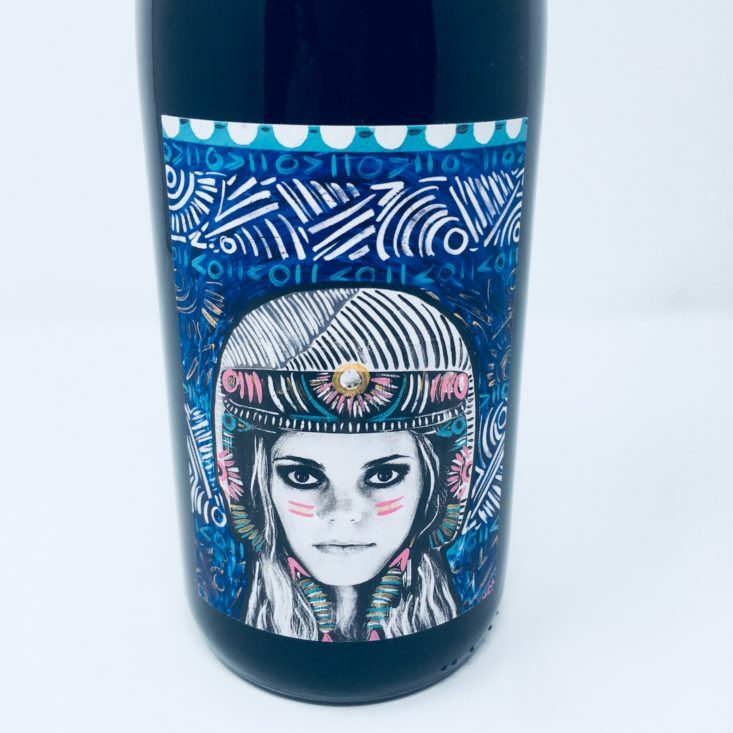 My last few Winc orders contained a duplicate of a bottle from previous boxes, and this red blend is the one for January. I had the 2019 version back in January, and at the time, it was also completely sold out on Winc’s site due to overwhelming popularity. The 2.1 stars the 2017 variety received led me to believe that this one wouldn’t live up to its former hype. I could definitely taste the pink pepper note, but missed the dark cherry, tomato leaf, and violet flavors. I was neither delighted nor disappointed by this one—it was just a good ol’ dry red. I’ve had similar wine at lower price points, so when it comes to the 2017 Funk Zone, I recommend testing with leveled expectations and an open mind. Now we make our way to the imported goodies! This is my first French wine from Winc, and I’m quite taken with it. The comparative lightness comes from its composition of 60% syrah and 40% grenache. Though it touts notes of cranberry, dark cherry, spice, and thyme, its flavor is welcoming and very easy to sip. I tend to struggle with finding reds that really dazzle me, but this one ranks toward the top. Nicely done, L’Atelier du Sud! Hooray, a twist off! Another first for me—I’ve yet to try wine from South Africa. These are some exciting times. I’ve also never heard of Chenin Blanc, so this bottle was the one I was most excited to try. The label design is so modern and sweet, right? This white piles on the fruit notes (apple, lemon, pear, and pineapple), and is so light and smooth, it instantly earned the honor of being deemed my favorite for this month! I can only imagine how much more delicious it will be after having some time to properly chill. In a box full of dry, okay wines, this Chenin Blanc was a delicious oasis. Verdict: This month’s selections were all right. I was a little disappointed to see a Funk Zone repeat (even though it’s for a new year), but the other three bottles made this box worth it. My contentment with Winc continues on, and I’m already looking forward to what next month will bring. 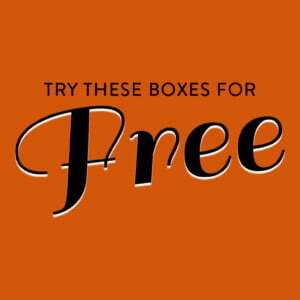 Can you still get this box if you sign up today? Since Winc allows you to choose your wine, you can get any combination you’d like any month. Sign up today and you’re welcome to curate your own or let them choose. Value Breakdown: This box cost $59.00 for four full bottles of wine, but had a retail value of $80.96, so I saved $21.96 by having the subscription. Not too shabby! 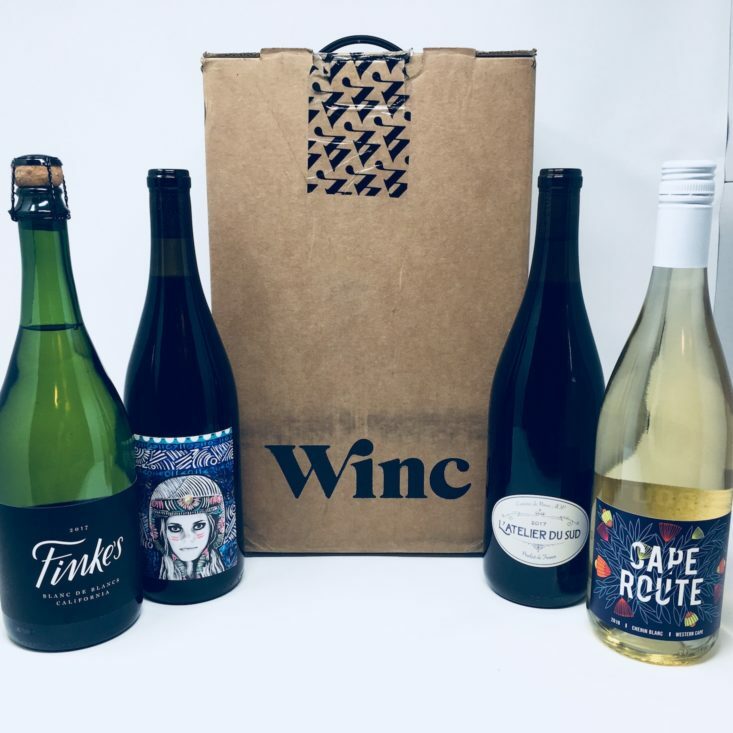 Check out all of our Winc (Club W) reviews or visit the Drink Subscription Box Directory for more boozy boxes! Which of the wines I got from Winc this month would you share with your gal pals? Savannah spends her days testing the creative limits of an all-black wardrobe, rattling about years spent overseas, and whipping up carb-heavy meals at home. Degustabox was her first foray into the world of monthly subscription boxes, and she still gets wildly excited every time a package arrives.